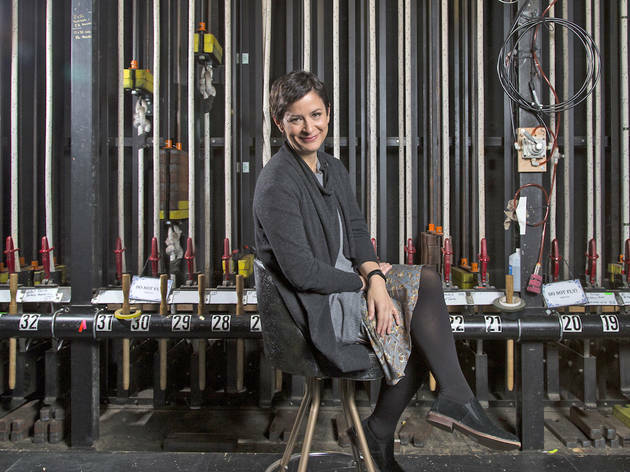 As she announces her first season, Steppenwolf's new artistic director has big plans—and a big learning curve. When Mary Page Marlowe begins performances at Steppenwolf Theatre Company March 31, it will mark the fourth collaboration between playwright Tracy Letts and director Anna D. Shapiro. Together they’ve premiered Letts’s Man from Nebraska (2003), August: Osage County (2007) and his adaptation of Anton Chekhov’s Three Sisters (2012); the Broadway transfer of August earned Tony Awards for both of them in 2008. 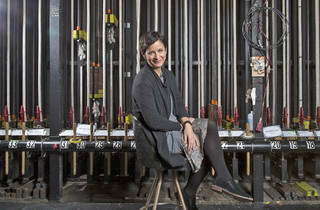 But Marlowe also serves as Shapiro’s first production in her new role as Steppenwolf’s artistic director, following Martha Lavey’s two-decade run at the theater’s helm. When the current season was announced in March 2015, there wasn’t yet a director attached to Letts’s latest, and Shapiro didn’t intend to take on a directing project in her first season. Shapiro, who turns 50 in March, was announced as Lavey’s successor in October 2014 at the same time that David Schmitz was announced to replace retiring executive director David Hawkanson. It was to be a total turnover at the top but a gradual one, with Shapiro officially taking over as AD at the beginning of the 2015–16 season and Lavey, who would remain an ensemble member, still there for her as an adviser when needed. That learning curve, though, got a lot steeper when Lavey suffered a stroke last May. Shapiro had been living in New York with her husband, fellow ensemble member Ian Barford, and their children, while she directed Larry David’s Fish in the Dark and Barford performed in The Curious Incident of the Dog in the Night-Time, both on Broadway; at this point, she had to take the reins at Steppenwolf more abruptly than planned. One immediate change Shapiro made was to the structure of the artistic staff. She now has three deputies—Jonathan Berry, Hallie Gordon and Aaron Carter—who share the title of artistic producer. Each production has one of the three assigned to oversee it. To that end, she suggests the company has to expand its programming and, eventually, its ensemble. Letts’s new play, a nonlinear look at ordinary moments in an ordinary woman’s life, creates opportunities for seven actresses of varying ages who share the title character. It may sound like a lost Beatles song (“Eleanor Rigby,” meet Mary Page Marlowe), but Shapiro says it’s really about a universal feeling.